I have been very bad at keeping my promise of posting more..
And also posting about Japan! 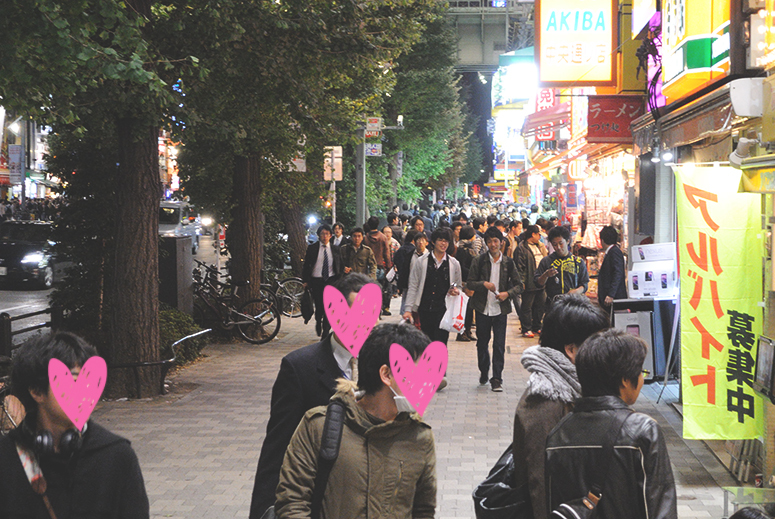 This one isn’t related to fashion so please bear with me..
Akihabara in Tokyo is probably how a lot of people imagine Japan! It is nicknamed Electric Town. You can buy many inexpensive electronics there. It’s also home to many maid cafes. When you are walking around the streets, there will be maids handing flyers out asking you to go to their cafe. I really want to take a picture with them, haha. They are just so cute! But I was toooo embarrassed to ask! Besides maids, it’s also home to many idol theaters! If you are a fan of idols, you will most likely know that this is where AKB48 started! They are probably Japan’s most famous girl idol group at the moment. 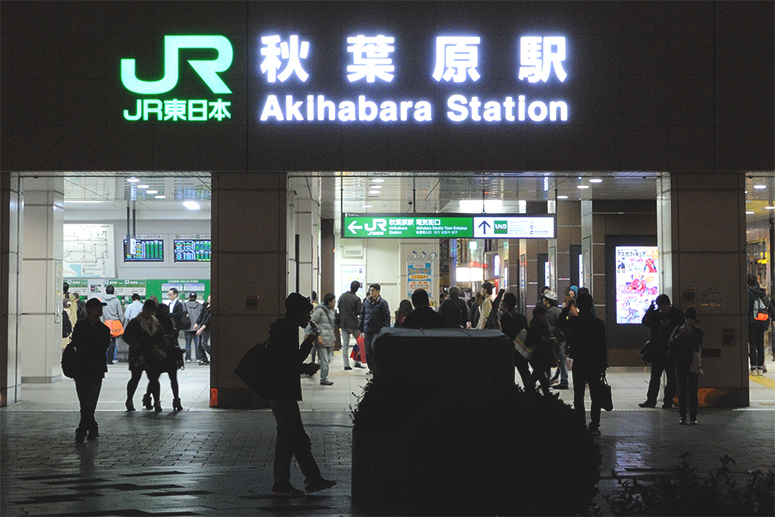 This is the Akihabara train station! 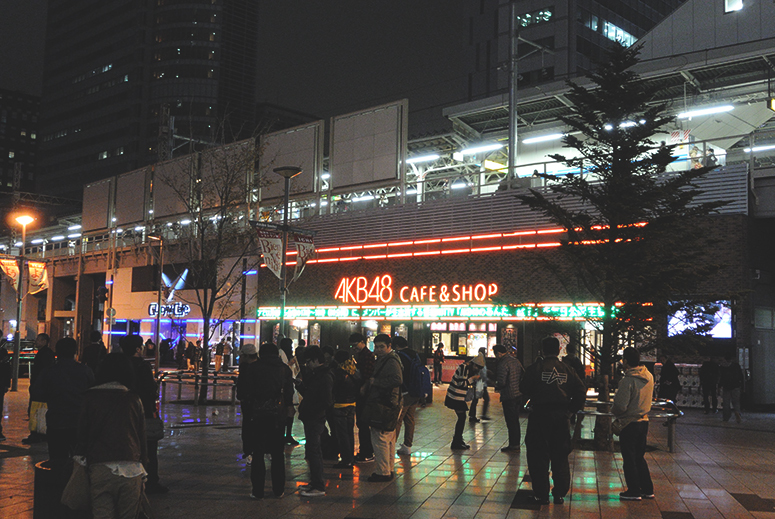 Right outside is the AKB48 cafe and shop. They have a very good location.. But of course, it helps to be very popular! Although these days they are beginning to decline somewhat. Outside the station, there is a big open area and sometimes there are people singing and dancing! The Electric Town is primarily a street of shops. Do you see that Akiba One building on the right? They have a couple of very exciting stores in there! One of them is Trio. At Trio, you will find many second hand idol goods such as photos, posters, cds, etc. It was truly heaven for me! 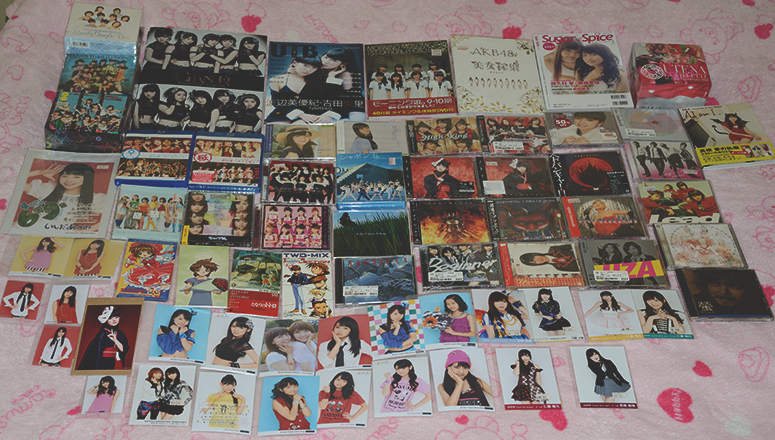 This is a picture of all the CDs, pictures, photobooks, etc. I bought when I was in Japan. I found many photos at Trio for around 100 yen (roughly $1 USD)! It is very inexpensive considering each single in the set cost at least $12! Another amazing store I recommend to go to is called Book Off. It is a store where you can buy second hand CDs, DVDs, books, etc. It is not limited to idols, but they still have idol CDs, DVDs, and photobooks there too! I bought many Morning Musume singles for less than 500 yen ($5 USD)! This experience was tooooooo exciting for me really. My heart was beating really hard the whole time I was there! In Book Off, I spent at least 3 hours browsing.. but in all honesty, I could browse there an entire day finally buying every Japanese CD I’ve enjoyed! After browsing a couple hours, I literally had a basket filled full with CDs.. Unfortunately, it was just too much for me to carry. Next time I go to Japan, I think I need to split my trips to Book Off and buy a little bit every time I go.. Yes, I’m that crazy, haha. I’m very sorry for the lack of photos, but many stores are very strict about taking photos in their stores. 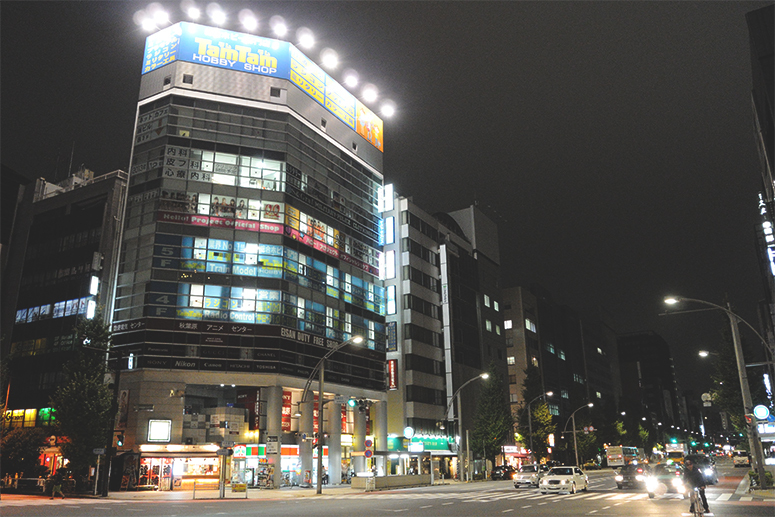 As you walk further down the street, you will see the Don Quijote building! Don Quijote is an inexpensive store where you buy pretty much anything! I bought some make up when I was there! At the top of the building though is where the actual AKB48 theater is. Yes, I went to see a show here! It is a very small theater. I’m not really sure of the capacity, but it’s only around 200. I could clearly see the idol’s faces and I noticed many times when they had direct eye contact with me! Outside the building, there were still maids handing out fliers. 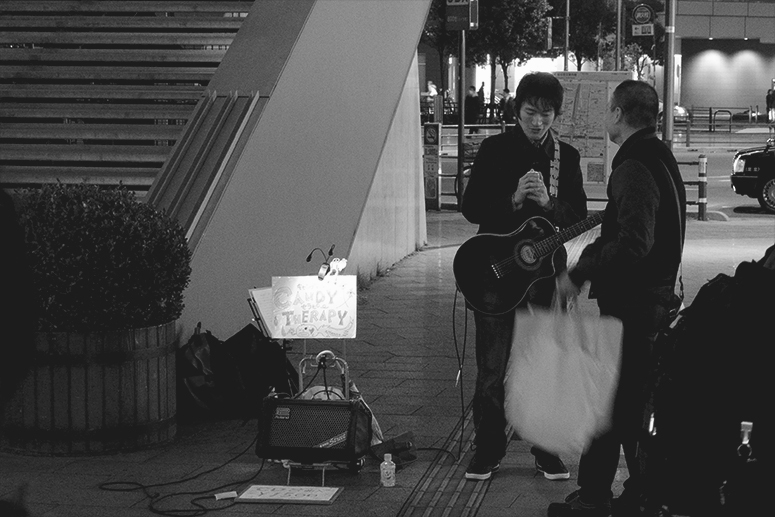 But to my surprise, there was also a member of an indie idol group handing out fliers for their show! I asked if she was an idol and tried to ask how to get to the show.. but my Japanese is really super poor. But I really, really wanted to go! Unfortunately, it was the 2nd to last day of my trip then and they didn’t have any more shows scheduled before I left. 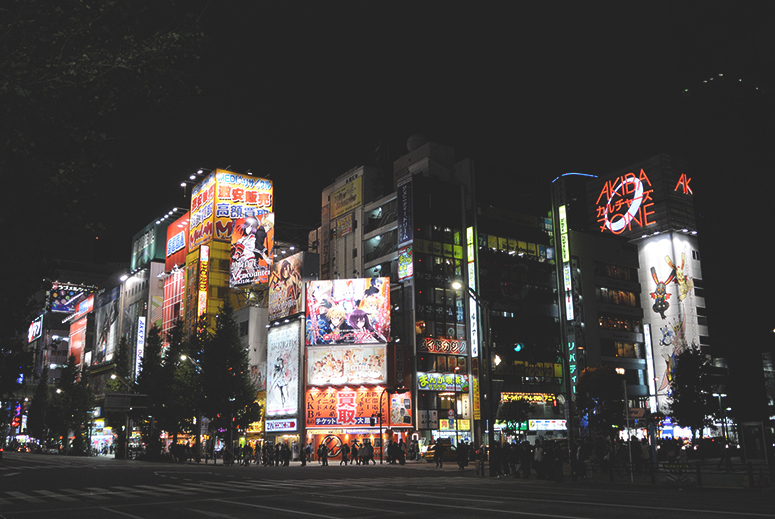 There is just so much to do in Japan! Further down the street you will see this building! Do you see what’ special about it???? Yes, there is the Hello!Project store! Out of sheer luck – on the day I went to the store one of the idols Tasaki Asahi was having a mini live and handshake! I was sooooo surprised and happy! Again, I don’t have pictures as they were prohibited. Asahi played a couple of her songs on the keyboard and sang along. She is truly passionate about her music. I was so impressed! And next came the handshake! She was nice to me and super surprised when I told her I was from California! I also told her best of luck with her major debut. a. also came with me too! Of course, he got more attention because he is not of Asian descent! So she got very excited! You can hear one of Asahi’s songs here. 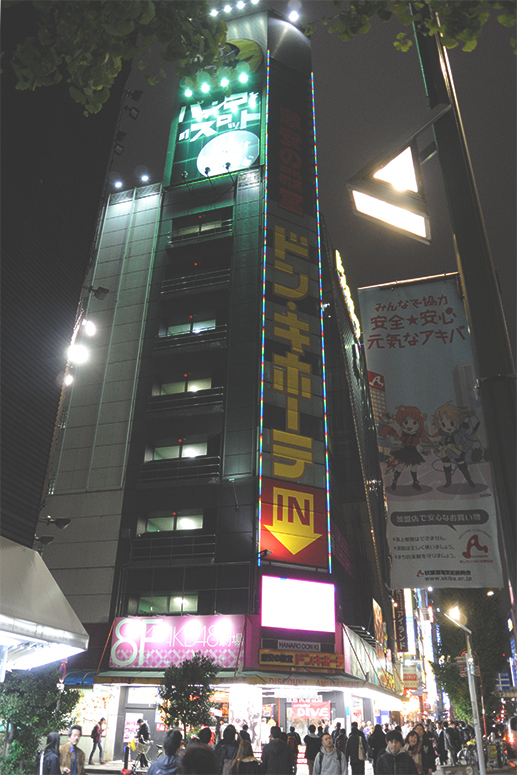 Akihabara was an extremely exciting place for me! I think I can die happy now, hahaha. What do you think of the atmosphere there? P.S. 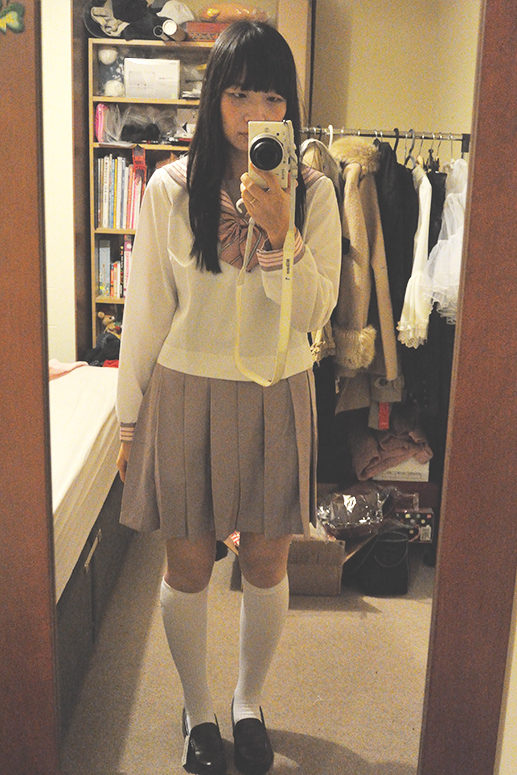 I received my seifuku from Taobao! I think it’s soooo cute!